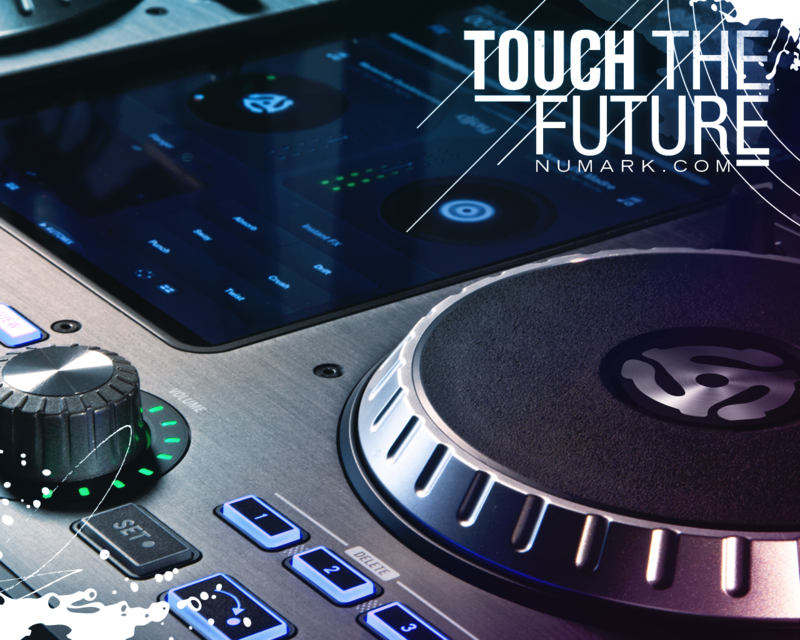 iDJ Pro from Numark is a professional DJ controller that expands your iPad’s interface, seamlessly integrating with Algoriddim's djay app for iPad (sold separately) to form a completely new DJ experience. Featuring a sleek brushed-aluminum casing, iDJ Pro is equipped with all the professional controls you need, plus some design features and capabilities that will inspire brand-new surges of musical creativity. 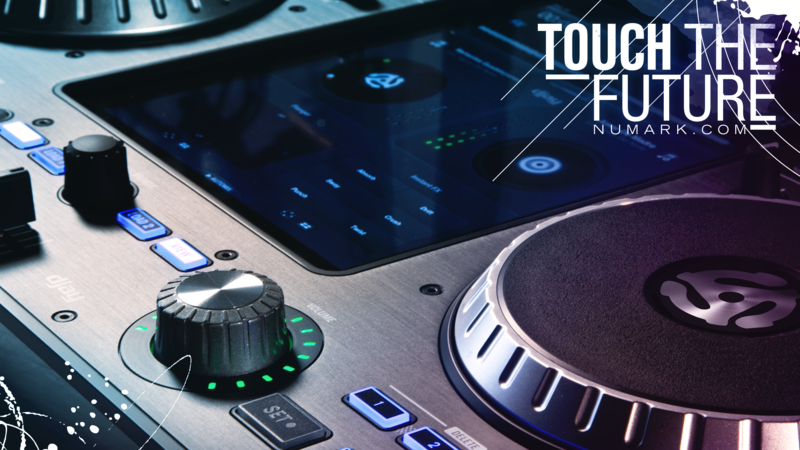 Just slide your iPad into iDJ Pro’s dual-turntable DJ setup and you’re ready to start mixing. 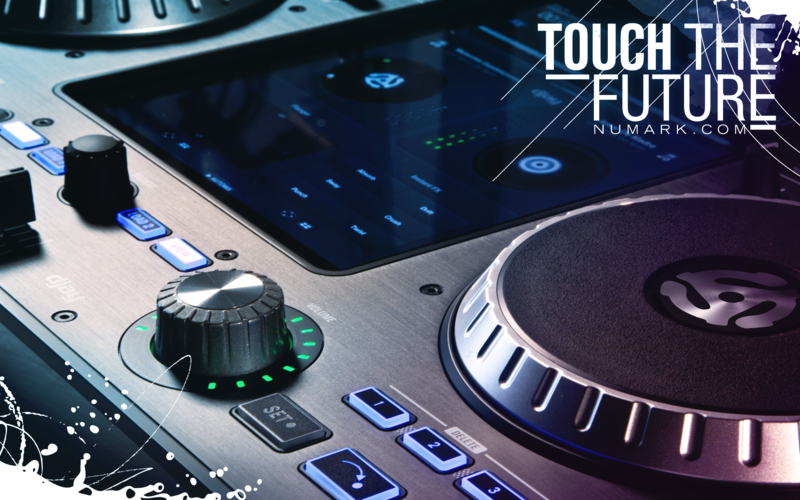 You’ll have access to your iPad’s touchscreen alongside capacitive touch-sensitive turntables, large die-cast aluminum volume knobs, plus hot cues, looping, pitch and effect controls. Once your iPad is docked, a latching door provides secure and seamless integration, giving you an intuitive, flexible and powerful DJ system. Once your iPad is docked, a latching door provides secure and seamless integration, giving you an intuitive, flexible, and powerful DJ system. Algoriddim’s djay 2 app integrates with Spotify and your iTunes library, so you’ll have instant access to all your tracks + 20 million songs from Spotify. You can start mixing, scratching, beat-matching, and tweaking right away. 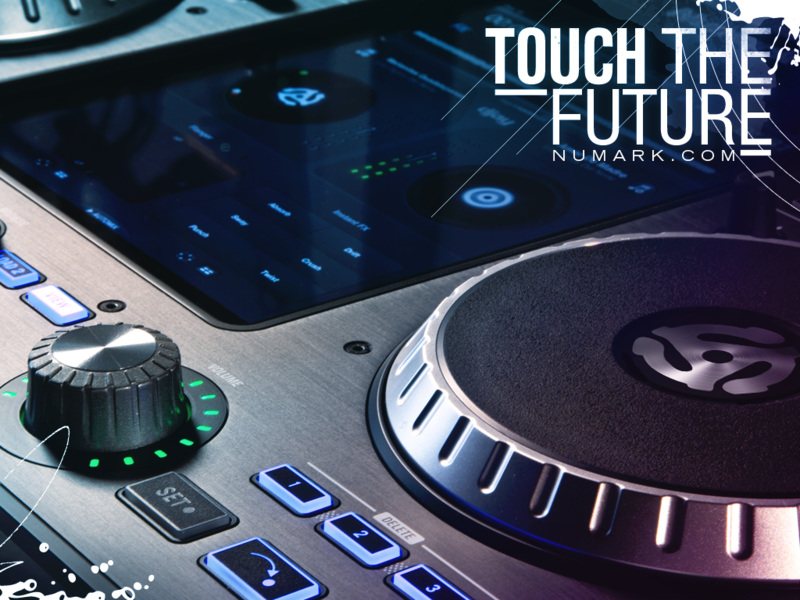 iDJ Pro’s dedicated effects controls let you create incredible transitions and heart-stopping mixes. Plus, thanks to your iPad’s wireless capability, you'll have access to virtually any song instantly, even if you don’t own it already. iDJ Pro empowers you with access to the cloud, allowing you to download tracks and have them pumping in seconds. And with AirPlay and Bluetooth compatibility, you can blast your set wirelessly through AirPlay or Bluetooth speakers. iDJ Pro comes ready to party with professional microphone and external device inputs as well as balanced XLR master outputs. Connect your MP3 player or CD player and mix in more tracks from there. The mic input lets you MC the party, and the dual headphone jacks give you your choice of 1/8-inch (3.5mm) or 1/4-inch (6.35mm) connections ... or just use both and DJ with a friend. Algoriddim is a registered trademark of Algoriddim GmbH. iPad and AirPlay are trademarks of Apple Inc., registered in the U.S. and other countries. What does "lightning-adapter ready " mean? The iDJ Pro is Lightning-adapter ready meaning that it will work when using Apple's 30-pin to Lightning adapter, which is sold separately and not included with purchase. When I launch Algoriddim djay, a popup indicates that an iDJ Pro Firmware update is available. I press Update, but the message reappears the next time I launch the app. What should I do? 1.) Make sure you have an active internet connection for your iPad. 2.) Using the App Store app, ensure that you have the latest version of the Algoriddim djay app installed on your iPad. 1.) Remove the iPad from your iDJ Pro. 2.) Quit all apps on your iPad. To view a video walkthrough on how to quit apps, click here. 3.) Power-down your iDJ Pro. 4.) Then dock your iPad, and connect it to the iDJ Pro. 5.) Power on the iDJ Pro. 6.) Launch the Algoriddim app. 7.) When the iDJ Pro Firmware Update Available message appears, press Update. When you call or email, please provide your current iDJ Pro firmware version, and the hardware serial number from the bottom of your unit. For a walkthrough video on viewing the currently installed firmware version click here. My iPad is not connecting to the iDJ Pro, what should I do? If the iPad device has many apps running at once, it may fail to connect to external peripherals, including this product. This affects all iOS devices, and all iOS peripheral products. Prior to connecting the device we strongly recommend quitting out of all open apps on your iPad except for the one you’ll be using and during your performance. What applications work with iDJ Pro? 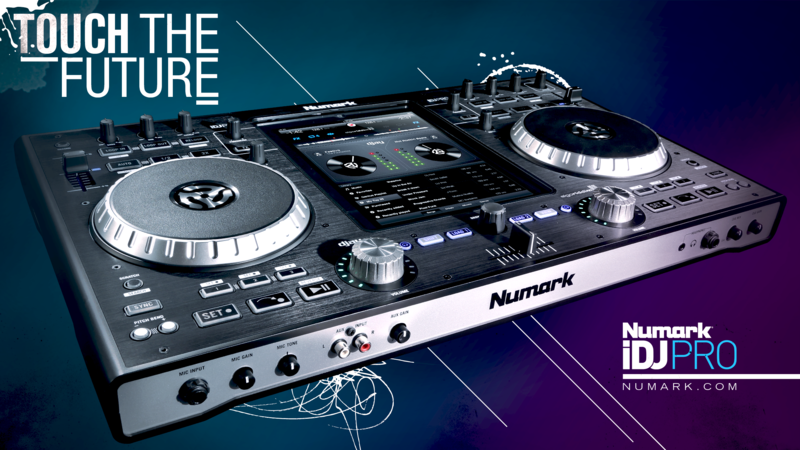 Algoriddim’s djay for iPad app provides the ultimate iPad DJ experience. 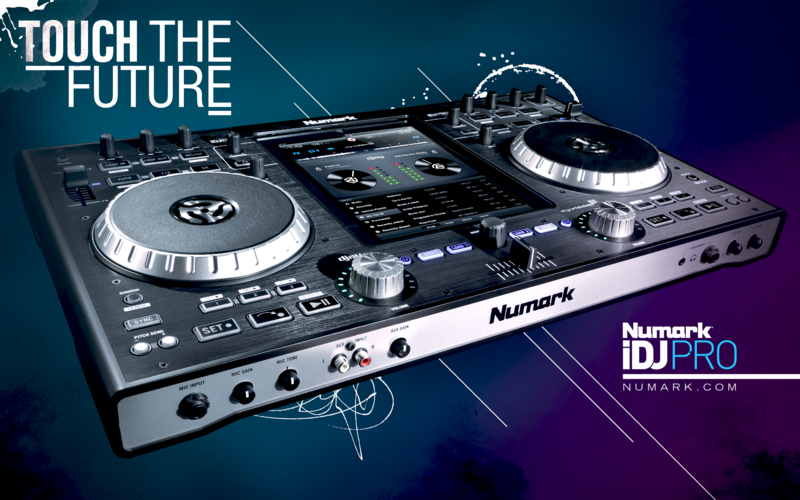 The iDJ Pro is Core MIDI-compatible to offer flexible capability. Does Numark offer a case for iDJ Pro? 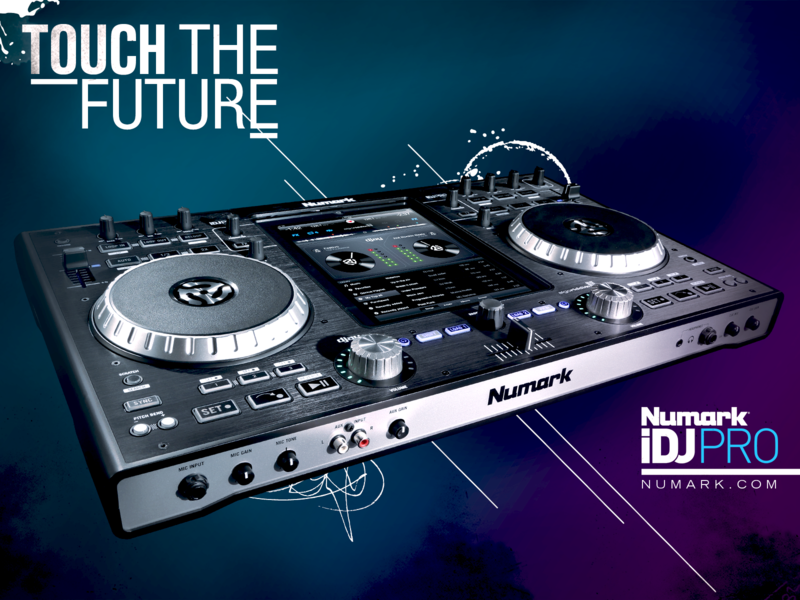 Yes, the Numark Controller Backpack accommodates the iDJ Pro. I can only hear one deck, or my sound is in mono. What should I do? On the iPad go to Settings > Genereal > Accessibility > Hearing. Turn the Mono audio setting OFF. Set the L and R setting to the center. 1.) Make sure you are running iOS 6 or later. 2.) Go the app store on your iOS device, and install the update for the Algoriddim djay app. How do I enable simultaneous stereo output for both the headphone cue and main output signals? 3.) On the iPad go to Settings > General > Accessibility > Hearing. Turn the Mono audio setting OFF. Set the L and R setting to the center. Does the iDJ Pro work with all versions of iPad? 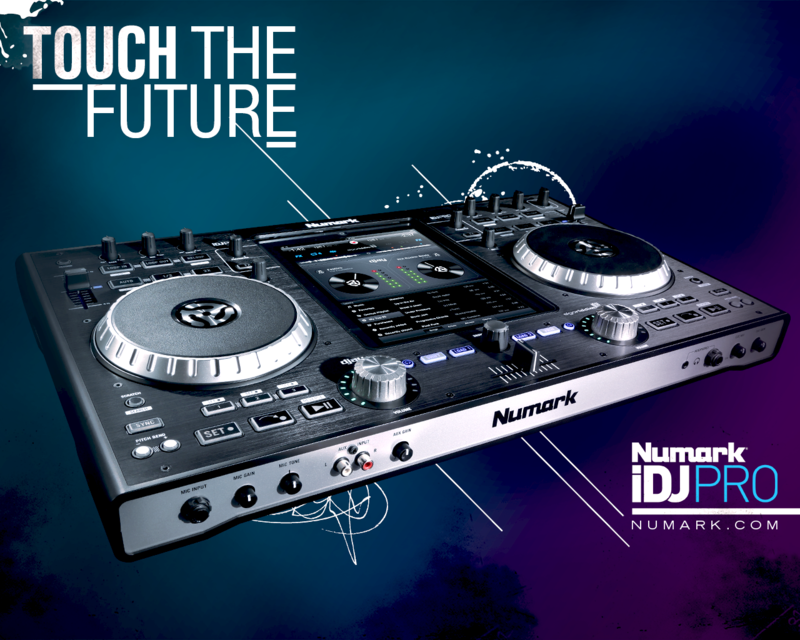 Numark and Algoriddim suggest using the iDJ Pro with the 2nd and 3rd generation iPad (utilizing iOS 6 or later) to take advantage of their advanced processing capabilities. You may also use the 4th and 5th generation iPad (Lightning connector) via the 30-pin to Lightning adapter (sold separately).